CLEVELAND - The U.S. Coast Guard has paused its search for a CEO, his family and two of his neighbors who were on board a plane that went missing over Lake Erie Thursday night. After finding no sign of wreckage during Friday's search, the Coast Guard has shifted the mission from rescue to recovery. The U.S. Coast Guard received a report around 11:30 p.m. Thursday from air traffic control at Burke Lakefront Airport in Cleveland who said they lost connection with the plane. 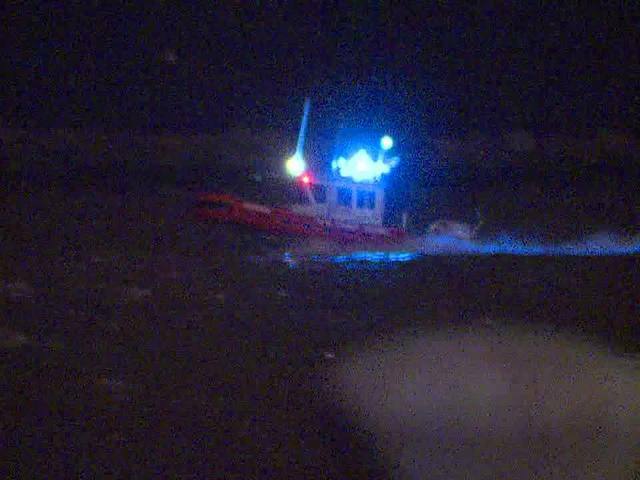 The U.S Coast Guard says that the Cessna Citation 525 went missing just 2 miles north of downtown Cleveland. The pilot and passengers had attended the Cavaliers game Thursday evening, according to airport officials. The plane is owned by Maverick Air LLC based in Columbus. The Columbus Dispatch reported the plane is registered to John T. Fleming, CEO at Superior Beverage Group in Columbus. Fleming is a Dublin resident, was flying the plane with his wife, Suzanne, his two teenage sons, a neighbor and a neighbor's daughter, as passengers, the newspaper reported, citing Fleming's father, John W. Fleming. We have learned that our valued colleague and leader John T. Fleming, President and Chief Executive Officer of Superior Beverage Group, his wife Sue, sons Jack and Andrew, and two close friends were involved in an aircraft accident near Cleveland Thursday night. While search and rescue operations are under way, we are focusing our efforts on supporting the families involved. We are working closely with the proper authorities conducting the investigation. We appreciate the efforts of the first responders on the scene. As we all await the results of the search and rescue efforts, our hearts are with John, his wife, their sons, and close friends on board, as well as with their loved ones and everyone in the Superior Beverage family. This is a difficult day for us, and we appreciate the concern and thoughtfulness extended by so many. In a Friday morning press conference, U.S. Coast Guard officials said there has not been any sign of plane wreckage in the water.